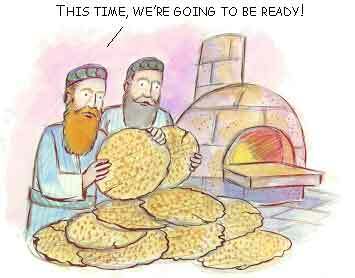 Pesach Sheni 2018 is observed on April 29 (14 Iyar). In Israel, it’s the 15th Iyar. The Feast of PASSOVER is the most important feast on the Hebrew/Jewish Calendar as PASSOVER marked the birth of the nation of Israel through the release from Egyptian slavery as well as rebirth of the People of Israel through YAHUSHUA’S Sacrificial death as the final sin sacrifice. We are currently in the Hebrew Month named Iyyar (also written as Iyar). For those of you who missed the first PASSOVER observance or celebration, here is another chance to have your PESACH SEDER! Ypu need to remove CHAMETZ from your house or living environment aftee which you can concentrate on removing chametz from your life. It’s a minor observation but with great significance. There are various links that will guide and help you through the time of observation. Please look through out Calendar under Spring Feasts in the meantime. You can observe it for just the first two days or the full 8 days ending on sun-down Sunday 6th May 2018. You need to go shopping in advance as the first two days and last two days of the feast are HIGH SABBATHS hence no work of any kind is to be done! 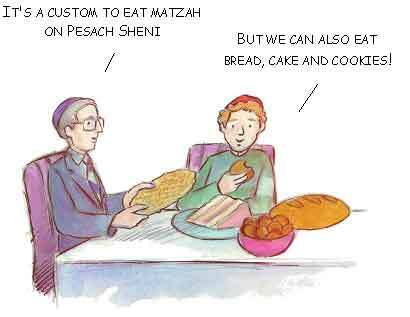 There is a widespread custom to eat matzah on the 14th of Iyar, known as Pesach Sheni (the “second Passover”), the day when those who were impure and/or unable to bring the Paschal lamb on Passover were given a second chance to do so. Just as the matzah eaten as the afikoman by the Seder commemorates the matzah and Paschal offering eaten in Temple times, so is this matzah a remembrance of the second Passover. But if this is the case, a question arises: The Paschal lamb (and its accompanying matzah) was consumed on the evening of Iyar 15, but the widespread contemporary custom is to eat matzah on the day of Iyar 14, when the Paschal lamb was slaughtered and prepared. Why? Now, it should be noted that some do in fact have the custom to eat matzah on the eve of the 15th rather than on the day of the 14th of Iyar. Note that you continue COUNTING THE OMER during PESACH SHENI. 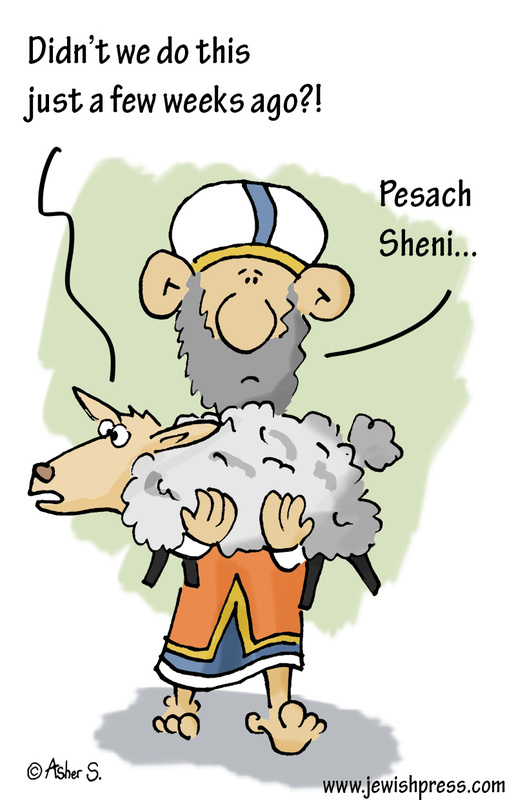 What Are The Origins of PESACH SHENI? A year after the Exodus, YAH instructed the people of Israel to bring the Passover offering on the afternoon of the fourteenth of Nissan, and to eat it that evening, roasted over the fire, together with matzah and bitter herbs, as they had done the previous year just before they left Egypt. “There were, however, certain persons who had become ritually impure through contact with a dead body, and could not, therefore, prepare the Passover offering on that day. They approached Moses and Aaron . . . and they said: ‘. . . Why should we be deprived, and not be able to present YAH’S offering in its time, amongst the children of Israel?’” (Numbers 9:6–7). In response to their plea, YAHUVEH ELOHIM established the 14th of Iyar as a “Second Passover” (Pesach Sheni) for anyone who was unable to bring the offering on its appointed time in the previous month. 9 Then Yahweh said to Moses, “Tell the Israelites: 10 Suppose you or any of your descendants is unclean from touching a dead body or is away on a long trip. 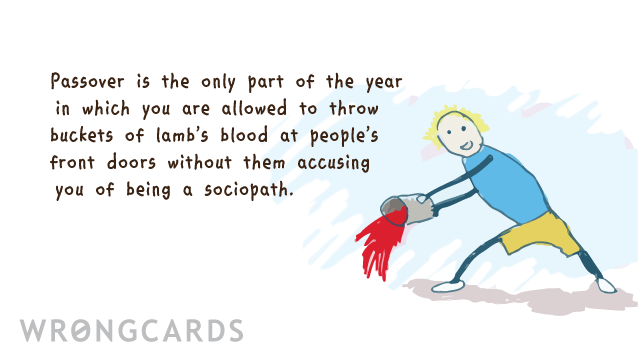 You may still celebrate the Passover. 11 You will celebrate it on the fourteenth day of the second month at dusk. You must eat the Passover animal along with unleavened bread and bitter herbs. 12 You must never leave any of the meat until morning or break any of the animal’s bones. You must follow all the rules for the Passover when you celebrate it. 13 But if you are clean[b] and not on a trip and yet don’t bother to celebrate the Passover, you must be excluded from the people. You didn’t bring your offering to Yahweh at the right time. You must suffer the consequences for your sin. their schedule could not allow them them observe PESACH, etc.